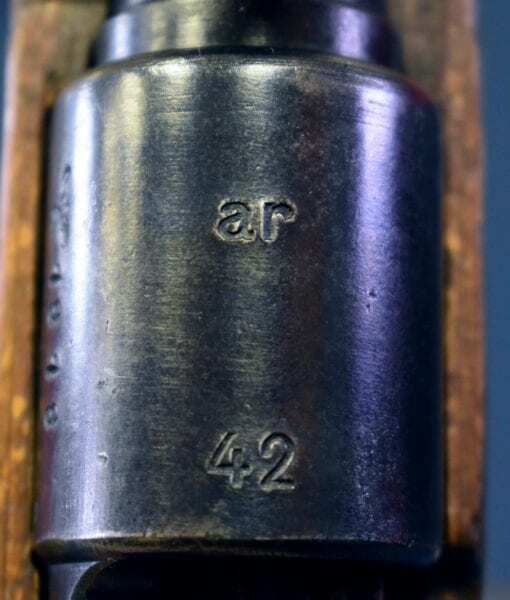 SOLD VERY SCARCE ar42 K98k ZF41 DESIGNATED MARKSMAN RIFLE…….ALL MATCHING & VERY SHARP! 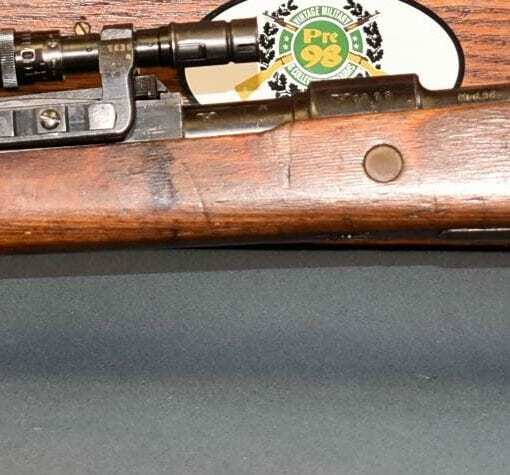 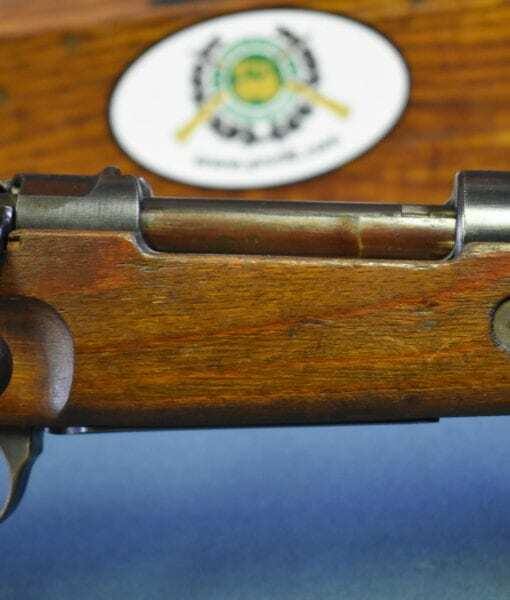 In excellent all matching condition, we have a very rare and highly desirable ar42 coded (Mauser Borsigwalde) Mauser K98k Rifle that has been factory configured into a zf41 designated marksman rifle (we used to call these sharp shooter rifles). 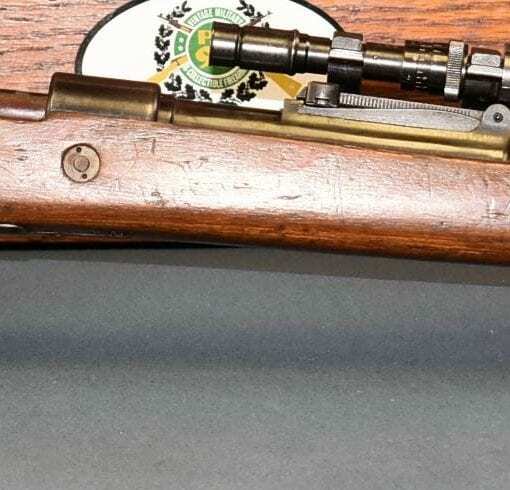 These are commonly seen on byf 44 Mauser platforms but the most desirable and scarcest examples were the Mauser Borsigwalde “ar” coded Rifles. 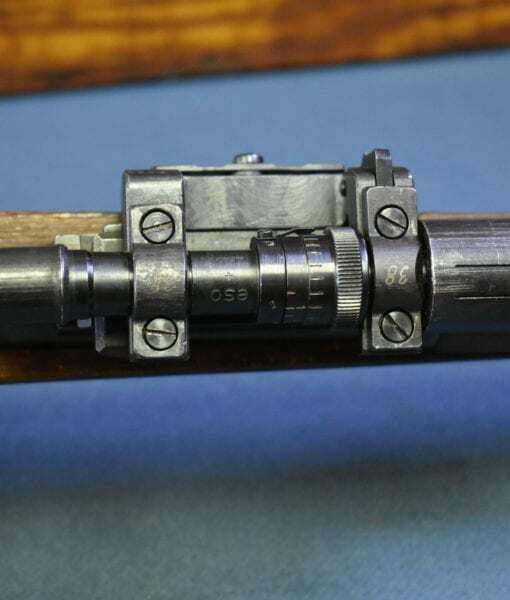 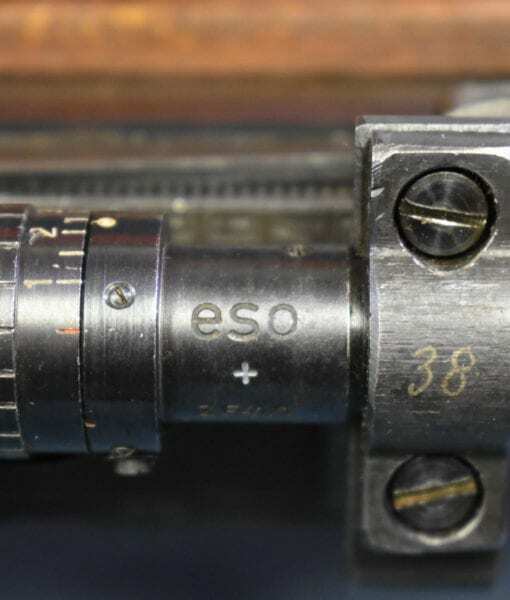 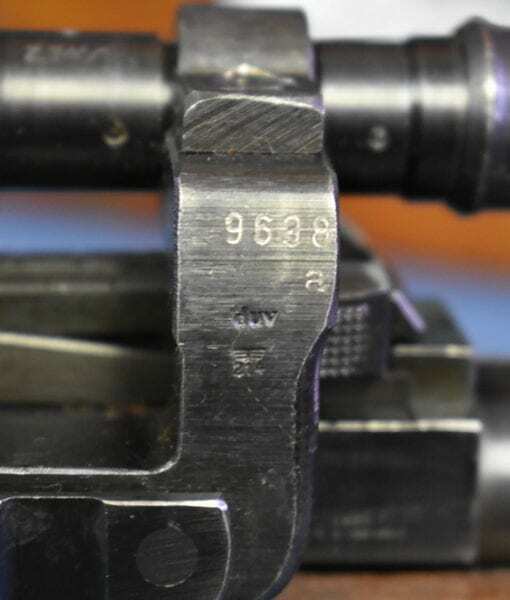 The optics in the “eso” coded (G. Rodenstock, München) Zf41/1 scope are somewhat clear and the rifle is still sighted in. 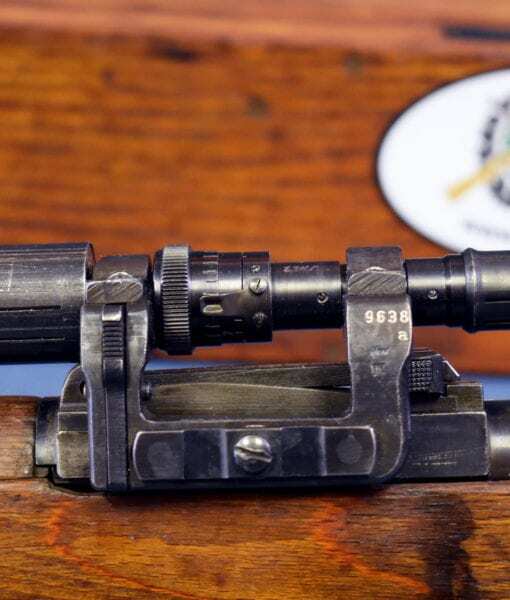 As small and strange as this scope looks to our modern eyes, it does certainly give you an edge over the iron sights and I can see why they did issue this rifle. 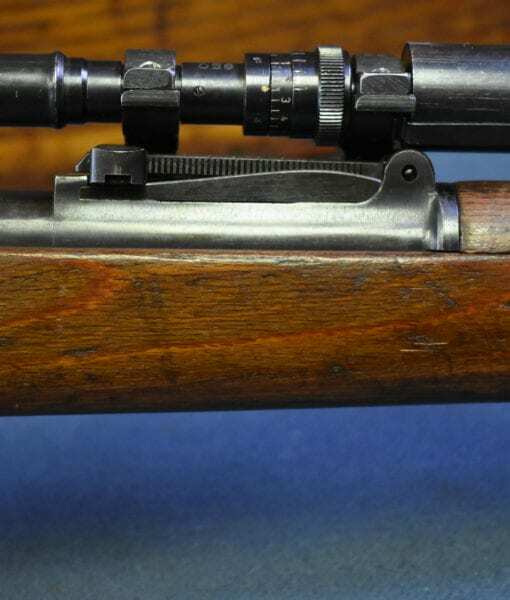 It is very easy to use and the sight picture is not as small as you would think and it is very quick to acquire your target. 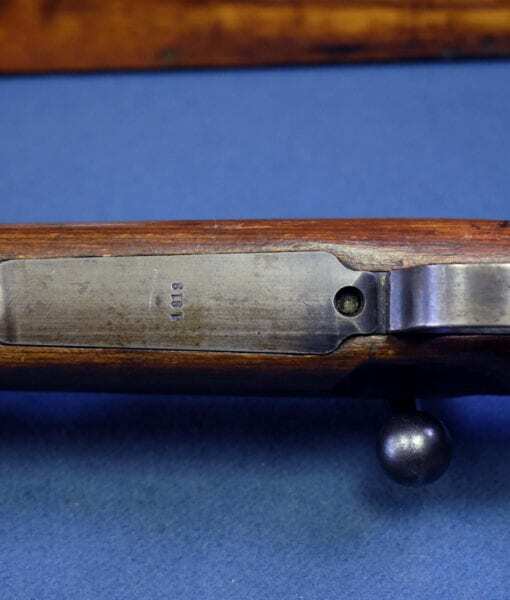 It certainly would increase your hit probability under open conditions. 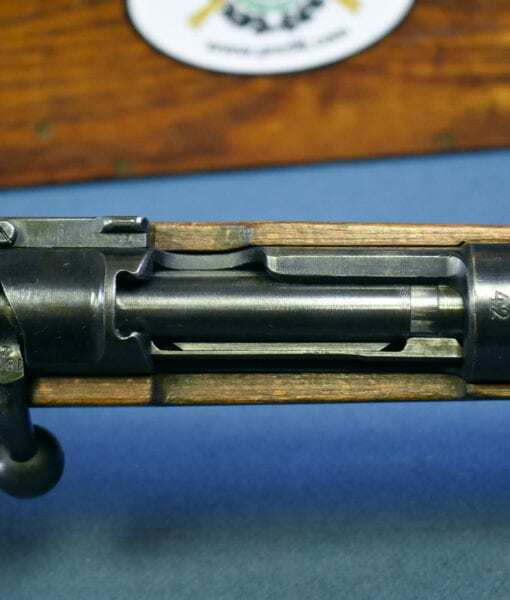 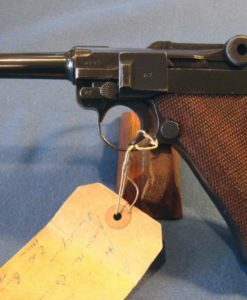 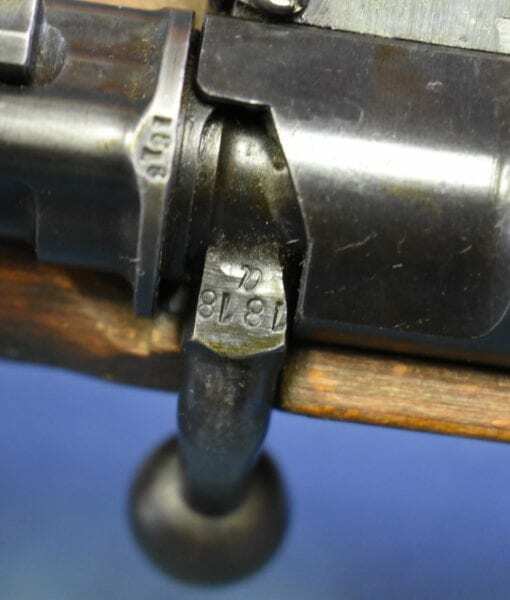 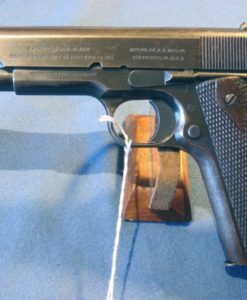 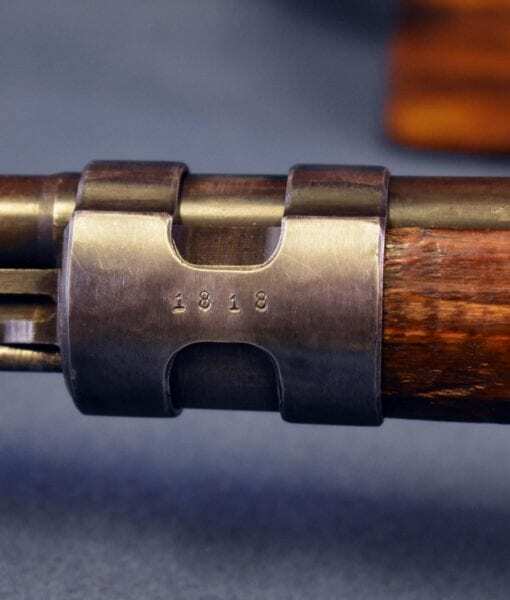 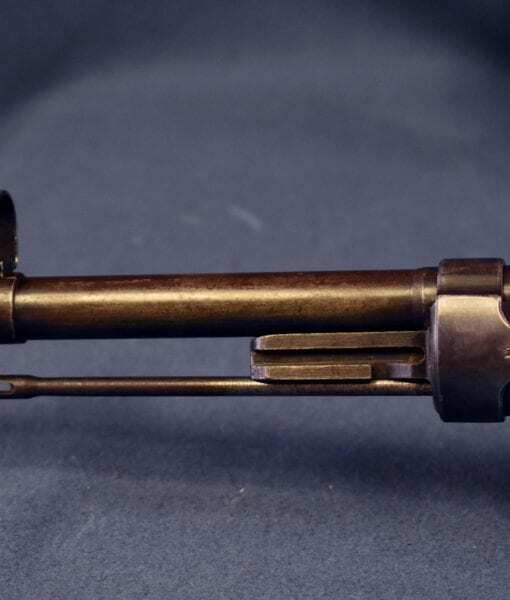 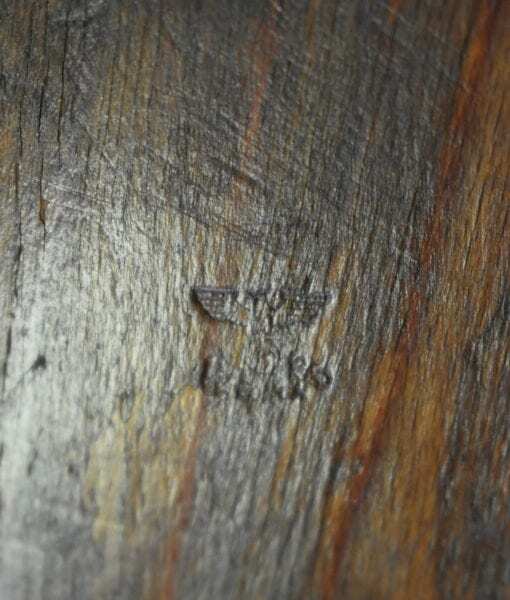 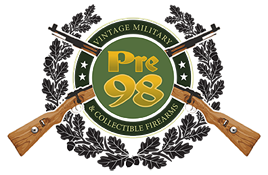 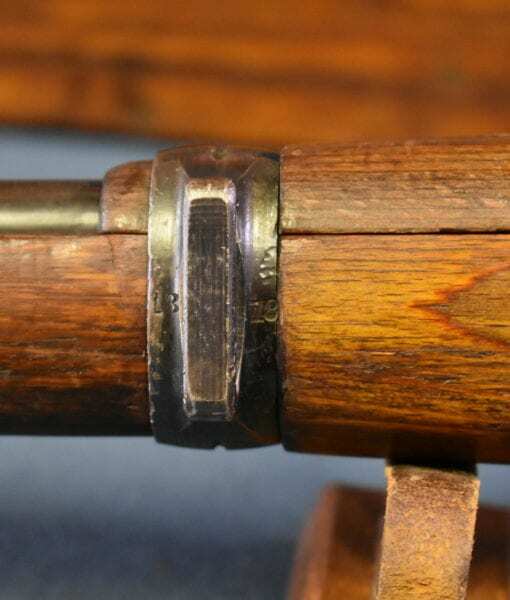 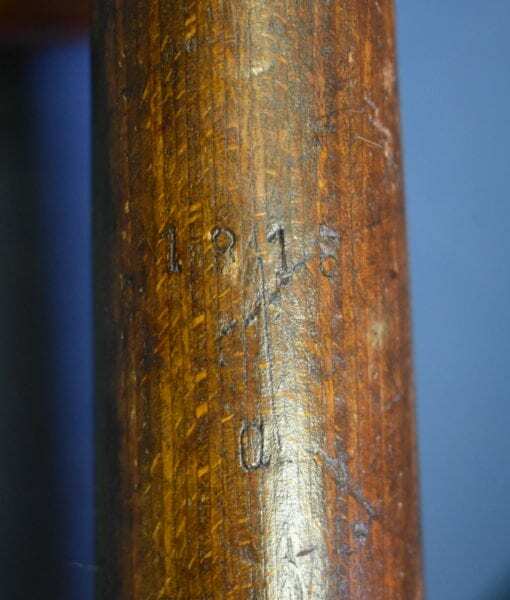 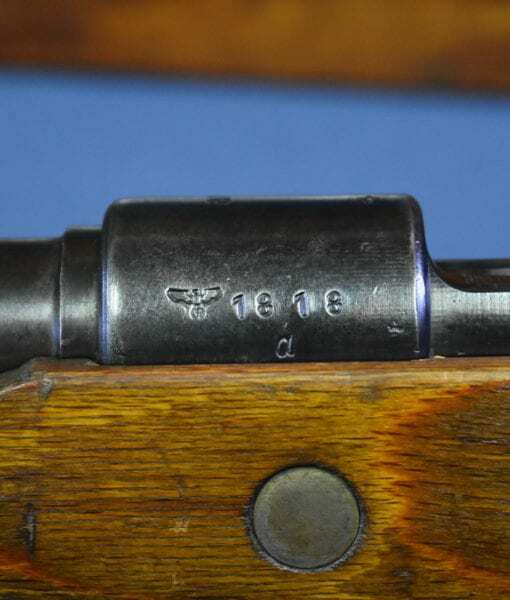 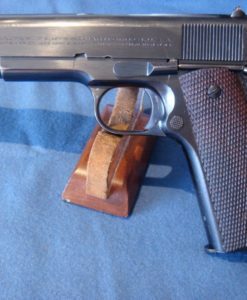 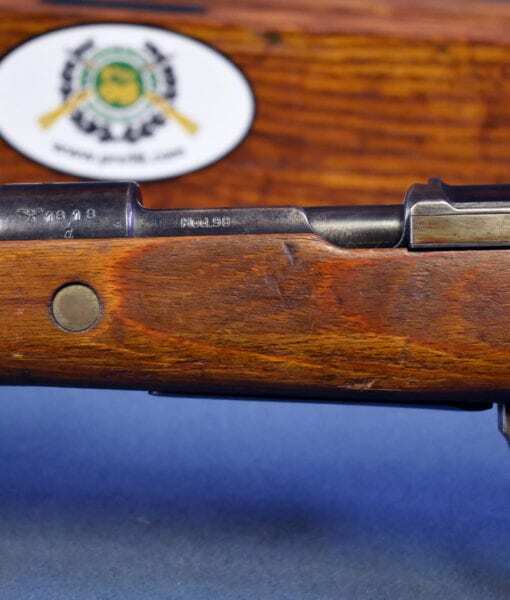 This is a very scarce code for these rifles and it is a real find for the serious advanced collector.